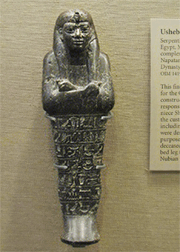 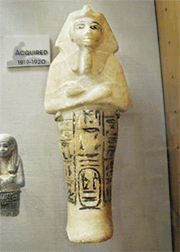 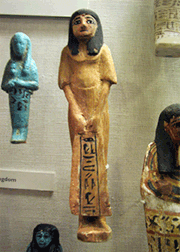 Following order of info card: ?Shabti of Nectanebo I (ca. 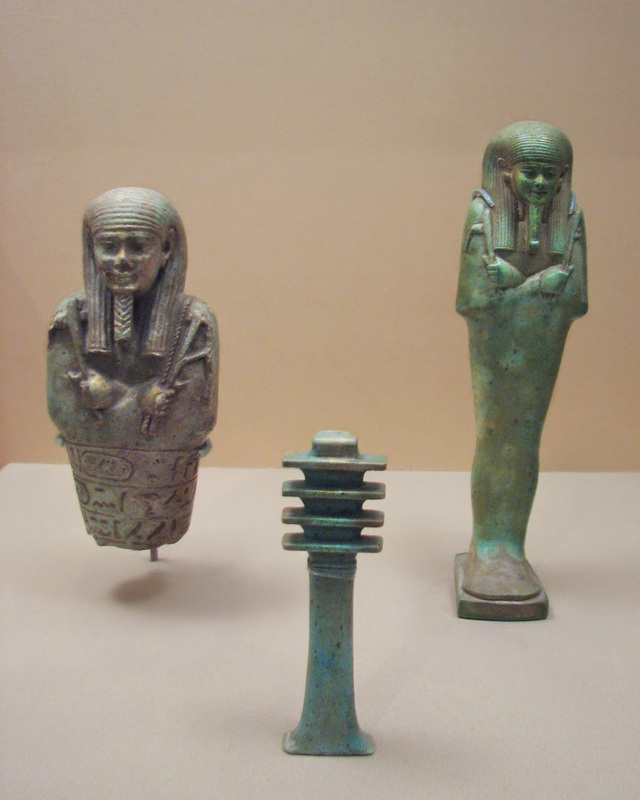 380-343 BCE)? 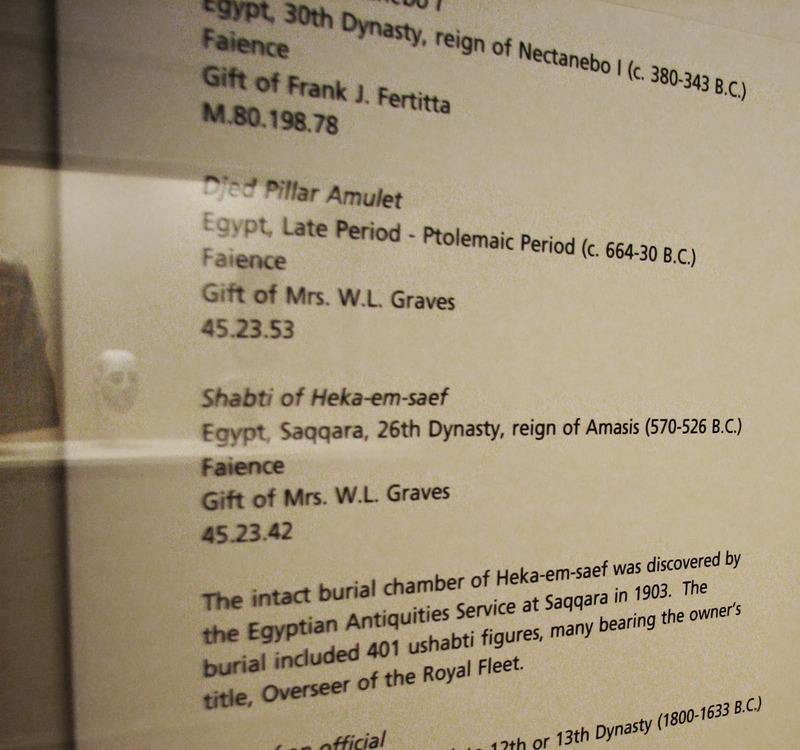 "The intact burial chamber of Heka-emsaef was discovered by the Egyptian Antiquities Service at Saqqara in 1903. 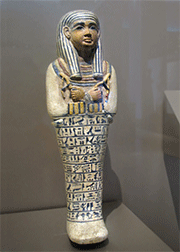 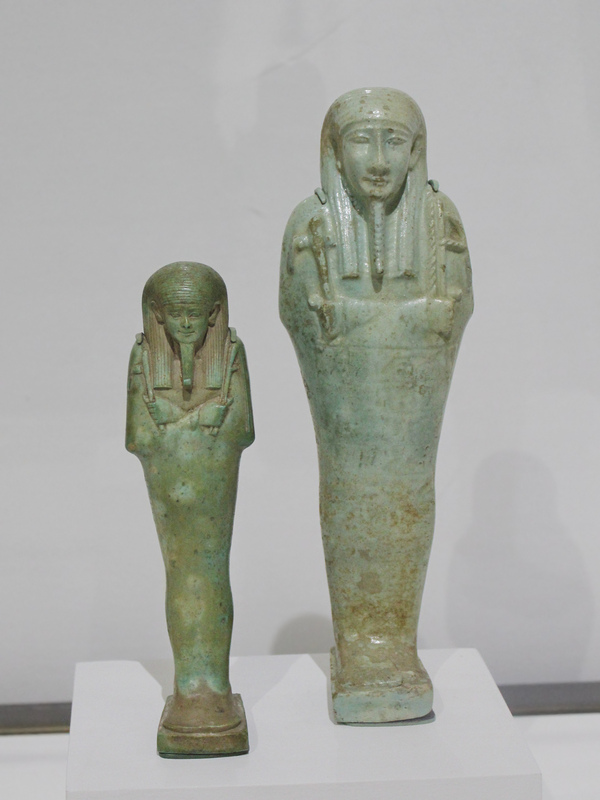 The burial included 401 shabti figures, many bearing the owner’s title, Overseer of the Royal Fleet.."